This limited edition displays the exceptional talent of E. Mervyn Taylor (1906–1964), one of New Zealand’s best engravers, who was justly recognised by international agencies such as the New York-based Society of Illustrators. If there is one image that captures the essence of Taylor’s fine work it is this frontispiece -‘The Magical Wooden Head’, engraved on boxwood in 1952. 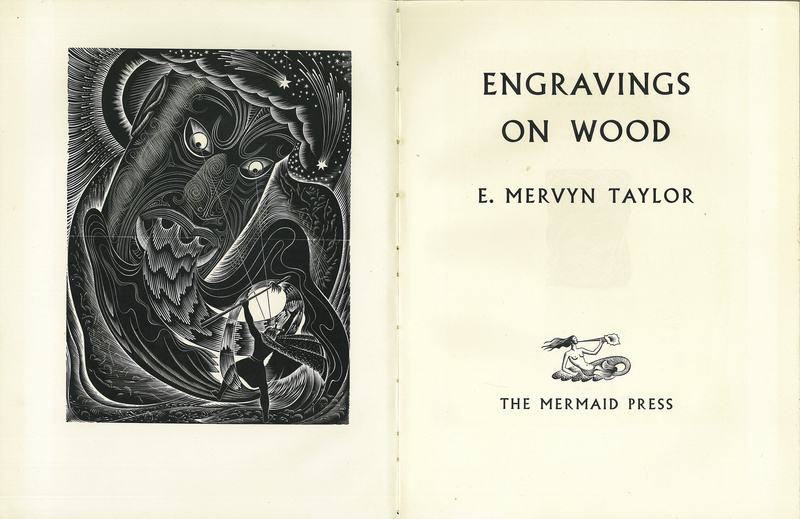 E. Mervyn Taylor, “Engravings on Wood,” ourheritage.ac.nz | OUR Heritage, accessed April 20, 2019, http://ourheritage.ac.nz/items/show/10655.